Experience the beauty of the Cambodian countryside, the intrigue of Beng Mealea temple, and the fascinating floating village of Kampong Khleang on our full day Jeep Journey. The tour will take you off the main roads so you can experience the rugged nature and tranquility of the Cambodian countryside. After you’re picked up in the morning from your hotel, your Sabai Jeep driver will take the back roads through remote villages and along rice fields as you make your way to the overgrown jungle temple, Beng Mealea. 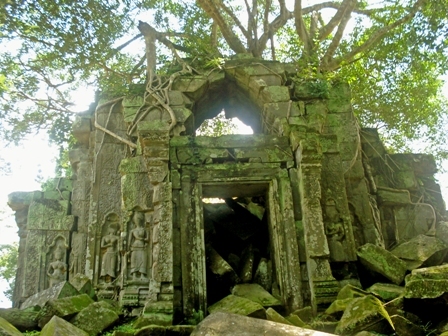 Most of the temple’s history remains unknown, but it can be dated by its architectural style, similar to that of the Angkor Wat era. Scholars believe it was built in the 12th century. 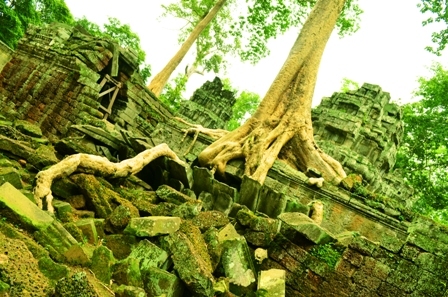 Today, much of the temple is engulfed by the natural forest surrounding the area making it a great place to explore as you discover this ancient treasure. We stop at nearby restaurant for a lunch break. After lunch, we set off towards the Tonle Sap Lake, to visit Kampong Khleang. The community is the largest on the lake with a population reaching 10,000 inhabitants. 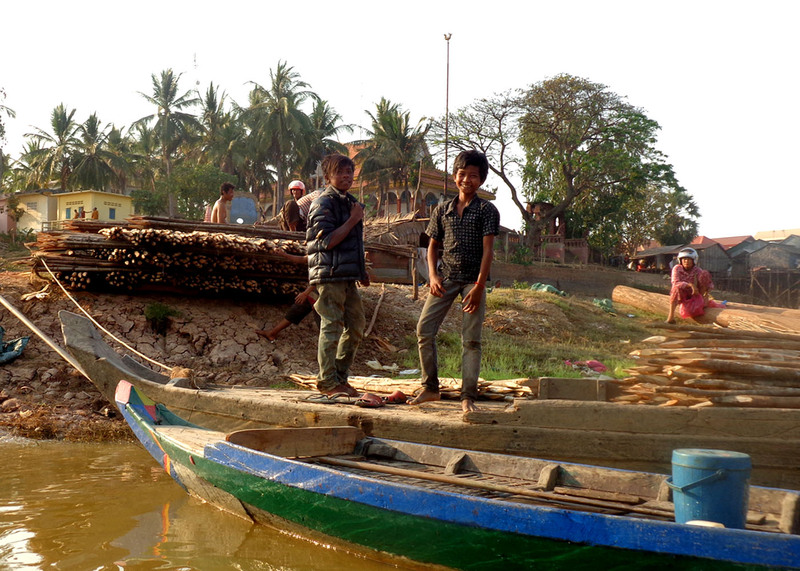 In wet season, we’ll visit the village by boat. 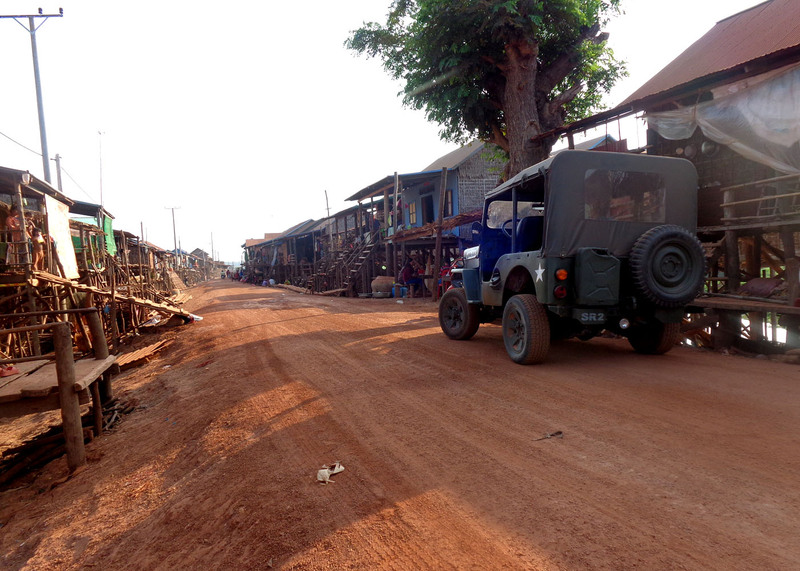 In dry season we can drive up to the village in the jeep depending on water levels. 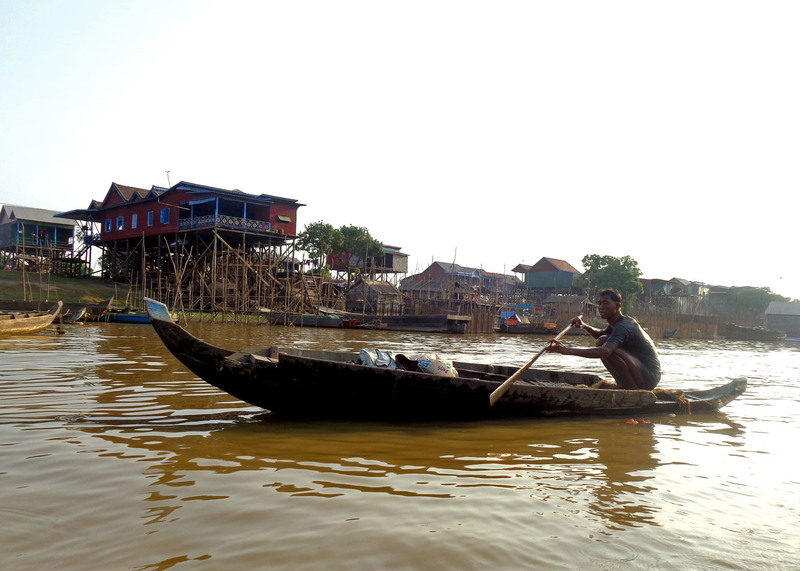 After the floating village, you’ll make your way back to Siem Reap. When booking please provide us with the name of your hotel for your pickup before the tour. Each Jeep can take 1 -3 passengers. We can accommodate large groups upon request. Tour includes: Jeep driver, fuel, lunch/drinks, entrance fees, floating village boat, pick-up/drop-off.